I have been dreaming of shooting at a gorgeous white barn for a while now! So when I discovered Chestnut Ridge Wedding venue in Asheville, I was over the moon to shoot here. A gorgeous white barn with an amazing view of the rolling mountains of North Carolina. What a dream! The inspiration for the shoot was inspired by Fall, but not your traditional fall colors. 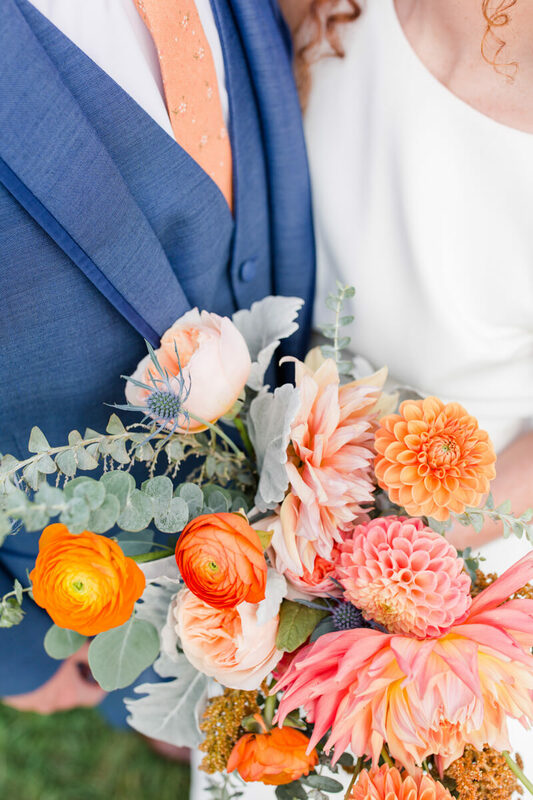 Orange with complementing blue tones for the color pallet, on a clean backdrop of white, brought the vision to life. 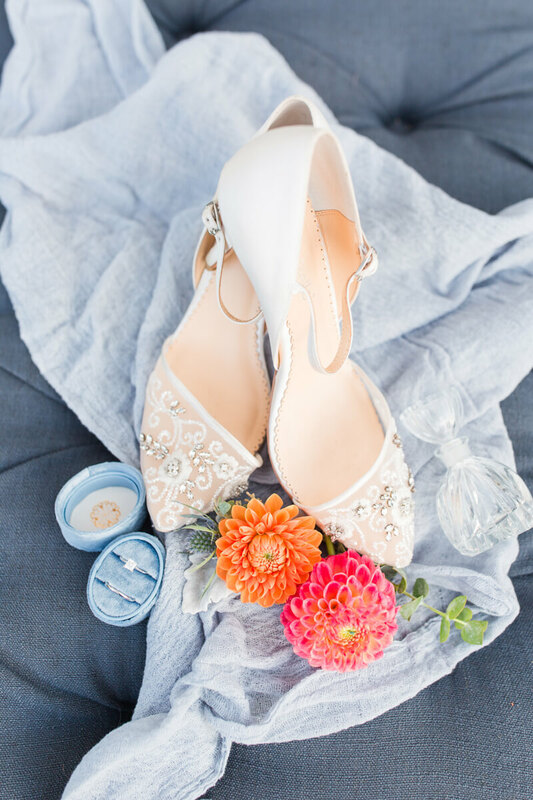 Along with the color pallet I wanted to have a very classy and timeless feel to the shoot, including the brides simple but stunning Mikaella Bridal gown. I worked with an incredible group of all local Asheville vendors. Ashley from Mingle events helped me design a swoon-worthy tablescape And Whitney from Springvine hit it out of the park with the florals. A full list of vendors below who were all incredible to work with. Working with these vendors made us feel so at home and we hope to work with them again in the future. Owners of Chestnut Ridge Preston and Taylor were married on their family farm in August 2011. They never realized that by welcoming their family and friends to the farm would result in a world-wind of requests from other couples. After non-stop inquiries, Preston and Taylor decided that maybe there was something special here. The two did a lot of research and dreamt of what they could build for couples. That dream became a reality in 2016. Preston and Taylor won the Business Start-Up Competition of Haywood County which confirmed to them that their solid research and business plan was something others could also believe in. They began construction in Sept. 2016 and finished it exactly 1 year later on September 23rd, 2017 with their very first wedding at Chestnut Ridge. Before they had even opened, they secured 42 wedding contracts. They are forever grateful for the opportunity to be able to share the blessing of their families’ land with others around the world. 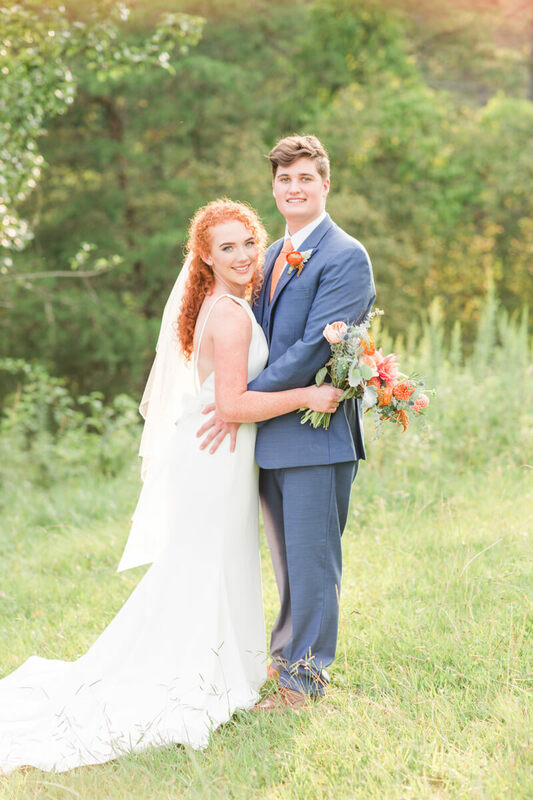 Carli and Austin were just the sweetest couple and how gorgeous is Carli with her beautiful locks of red hair and piercing blue eyes! The two met their sophomore year of high school. They are now at college together at Western Carolina University. Talk about young love! Austin is majoring in construction management and Carli is an art major. The two are polar opposites, he’s a jock, sports lover, super social, and likes to party. Carli is an artist, and would rather paint than party, and loves nature. They love to share meals together and are avid foodies, watch movies, and go on adventures to different places.